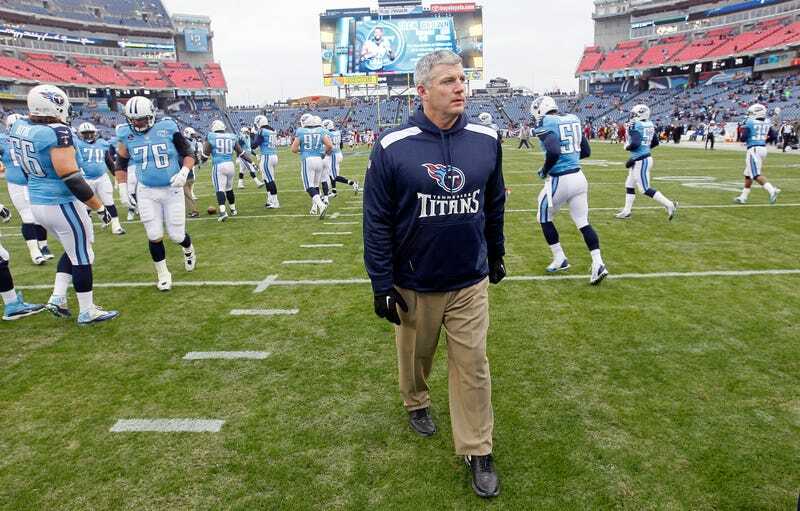 After three seasons in Nashville, all with nine or 10 losses, and 31 years with the organization, Mike Munchak parted ways with the Titans this weekend. And to hear him tell it, he fell on his sword. Munchak wasn't fired on Black Monday because at that point, the Titans front office believed he was going to stay. He met with president Tommy Smith and GM Ruston Webster, and was told he would receive a contract extension if he was willing to clean house, firing as many as six assistant coaches. Munchak wasn't willing. "I can't fire someone when I don't believe they should be fired. Firing someone is awful. Too many people were going to be affected,'' Munchak said. " O-line coach Bruce Matthews and linebackers coach Chet Parlavecchio, two of Munchak's best friends, were among those set to get the ax, but Munchak said it wasn't about friendship, but about football. "I did what you should do and what I thought was right. For me to maintain a job and a lot of guys lose jobs on a plan I didn't think was right, I couldn't do that. I'll make tough decisions, but not if they're not right." There are no bad guys here. Things aren't working for the Titans, and the braintrust has the power—and the right—to demand changes, and to replace a head coach who refuses to make them. Munchak had a differing opinion on the team's direction, believing the assistants he had in place were the ones to take the team forward. The front office disagreed, but gave Munchak the choice, and he made it. Almost all coaches have faced the dilemma of whether it's better it's better to be undermined than unemployed. Munchak could have stayed on with reduced power and a staff that largely wasn't his, collected paychecks for a couple more years, and maybe saved a few assistants' jobs. Now they're all fired anyway, and while Munchak should get a job elsewhere (he reportedly interviewed for the Penn State head coaching position yesterday), there's no guarantee he gets the authority he was seeking from Tennessee. A brave decision? Maybe not. But a ballsy one, and principled to boot.